Topics: Digitising, Clothing / Merchandise, How To Order, and Pricing. ns140.pair.com, and ns00.ns0.com are its DNS Nameservers. It is hosted by Pair Networks (Pennsylvania, Pittsburgh,) using Apache/2 web server. 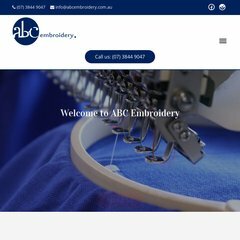 Abcembroidery.com.au's IP address is 216.92.116.108. PING (216.92.116.108) 56(84) bytes of data.